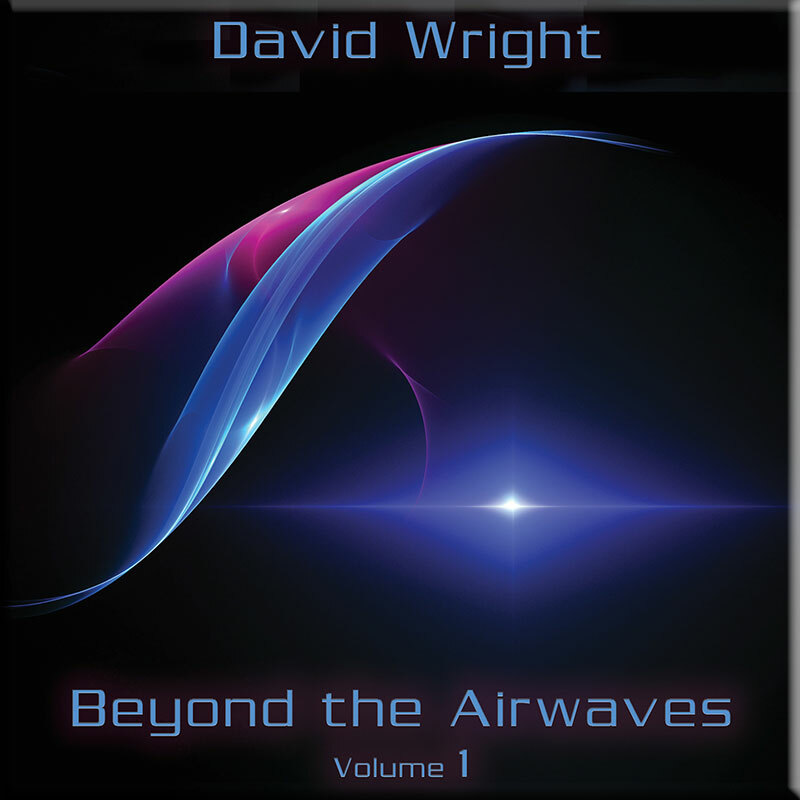 ‘Beyond the Airwaves Volume 1’ is the 25th solo album from UK synth veteran David Wright and also marks 25 years since his first release. Originally intended as a double CD, Volume 2 will now be released in early 2015. The 12 interlinked tracks are actually 4 long pieces that ebb and flow with commanding themes and a sweeping grandeur. The music covers a variety of electronic music styles with strong rhythms and sequences underpinning a multitude of layers and lush passages that are rich with drama. There are 48 minutes of new music plus an epic 30 minute reimagining of his classic ‘Walking with Ghosts’ suite. The music is taken from live concerts in the USA and Europe in 2012 and 2013, all reworked and added to afterwards in the studio. The idea being to combine the spontaneity of the concert recordings with the more disciplined and creative studio approach to present a blend of both and hopefully, something a little different. ‘Beyond the Airwaves Volume 1’ is a pulsating voyage into cosmic electronic music and a worthy addition to David Wright’s extensive catalogue. Winds carrier of birds’ singings, of stars and of murmurs of the goddesses push “Drifting In” up to the tributaries of our ears. The tone is ethereal and David Wright’s sonic wealth is increasing quite slowly with ill-assorted noises which spread a veil a bit dramatic. The hoops and the curtains of cosmic pearls pull the ambiences towards the delicate wave-like harmonies of “Gravity Waves”. Muffled pulsations caress these oniric undulations while that other pulsations, this time with a kind of rubbery reverberations, harpoon these ambiences which quite slowly are buzzing between our ears, such as a soft linear morphic techno. Follows then the very first melody that will haunt our hearing for coming hours. We can say whatever we want about David Wright, but a fact remains; he is the biggest weaver of musical itches in the field of the modern EM. Here, the synth borrows clothes of trumpets saddened by an astral cold and sings some sweet harmonies with a delicate oriental perfume, so unique to the Wright signature, which are grafted to a rhythm just as much harmonious. A rhythm which exchanges subtly its skin without ever breaking up the melodic barrier, pouring even into some delicate lunar ambiences with “ISEE3” before getting back with more sweetness in the superb arrangements of “Forward Motion”. Chords of a kind of e-guitar spin slowly at opening of “Strange Inventions”. A light sonic whirlwind drags in its weak rotations of winds a stride of mislaid notes which all slowly stick to a rhythm which gallops on the plains of thoughts. 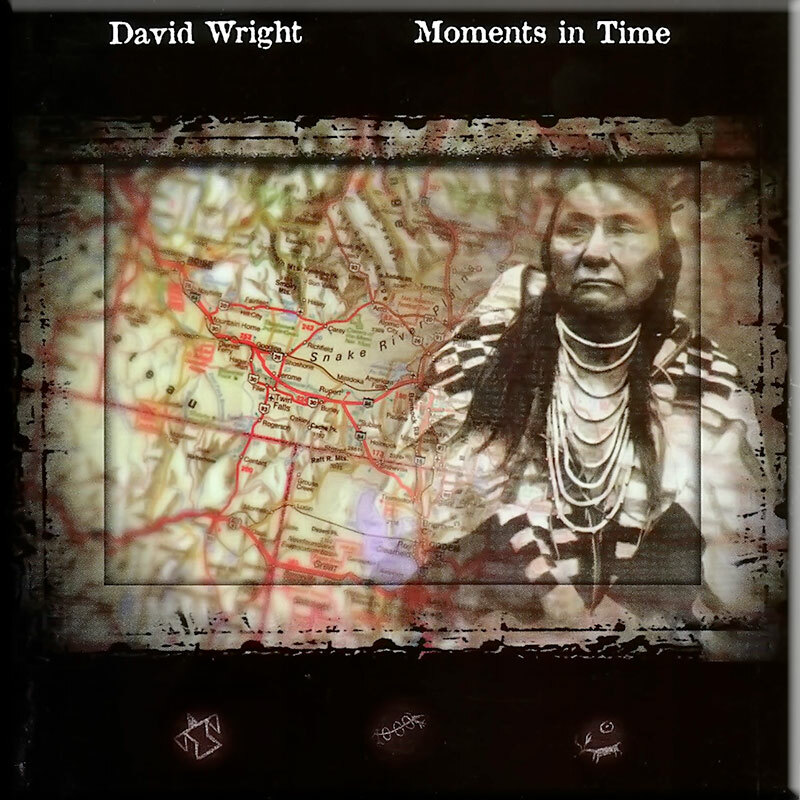 David Wright lays down then some romantic notes of piano which fall like flakes of harmonies on a structure of rhythm whose light drumming is mislaying us in a kind of aboriginal structure. “Strange Inventions” becomes then a long nostalgic thought murmured by a piano and where the turbulence of the winds gives way to a very beautiful synth which sings a too beautiful serenade for remorseful ectoplasms. We are not us so far from Walking with Ghosts here. Especially when “Dream FM” flies on the finale to bring us quite slowly towards a livelier and clearly more electronic structure with a movement of sequences which goes increasing and percussions which contrast with these angelic voices which caress as much our sense of hearing as this melody strummed throughout “Strange Inventions”. It’s like reading Edgar Allan Poe mixed with the romantic poems of Victor Hugo. Very good and rather intense, David Wright is in great shape. On a structure of rhythm as much galloping as that of “Strange Inventions”, “Stratos” makes our feet dance a bit in a good clanic electronic rock from the people of sands. The arrangements are superb and this track really fetches the best rhythmic elements of “Strange Inventions” and “Dream FM”. And after we enter into another chapter, a new finale of Walking with Ghosts. Dark winds replace the piano and the birds chirping of the original “Penumbra”. Here the ambiences are dark and unfold multiple synth layers on a rhythm which gallops slightly on its sinuous pulsating sequences. A dense wave with tones of an old organ wraps these sequences while that a delicate melody, forged in the seraphic moods of “Beyond the Airwaves Vol 1”, waves casually on a passage which subtly lets filter some vestiges of its first draft. It’s full of innocence. “The Gift” cries out its breezes of synth to philharmonic caresses and angelic voices which are floating on a rhythm which little by little gets loose from its galloping approach to dive into a structure slightly more technoïd. The felted bangs-bangs and the rattling cymbals are hammering a rather lively rhythm where swirl beautiful harmonious stroboscopic lines and spin good solos of which the charms melt marvellously with the seraphic choir. We feel the first fruits of the original on a clearly more electronic and more ethereal cachet. “Acheron” gets rid of its original ambiences to offer a structure of rhythm slightly oscillatory with sequences which gurgle on a strange gleaming surface. There also the harmonies that David Wright plays remind vaguely this delicious parallel that we just cannot ignore between “Beyond the Airwaves Vol 1” and Walking with Ghosts. “Acheron” slips itself away from those ethereal moods before that “C’est la Vie” knocks us out again with these dense layers of an organ as dark as that of the Ghost of Opera which also opened the original piece of music. Moreover this track is really the only one to lean on its first envelope. The harmonies and the rhythm are sharply more amplified and detailed. One would say of hearing e-rock a la Jean Michel Jarre out of his post—Oxygene era. 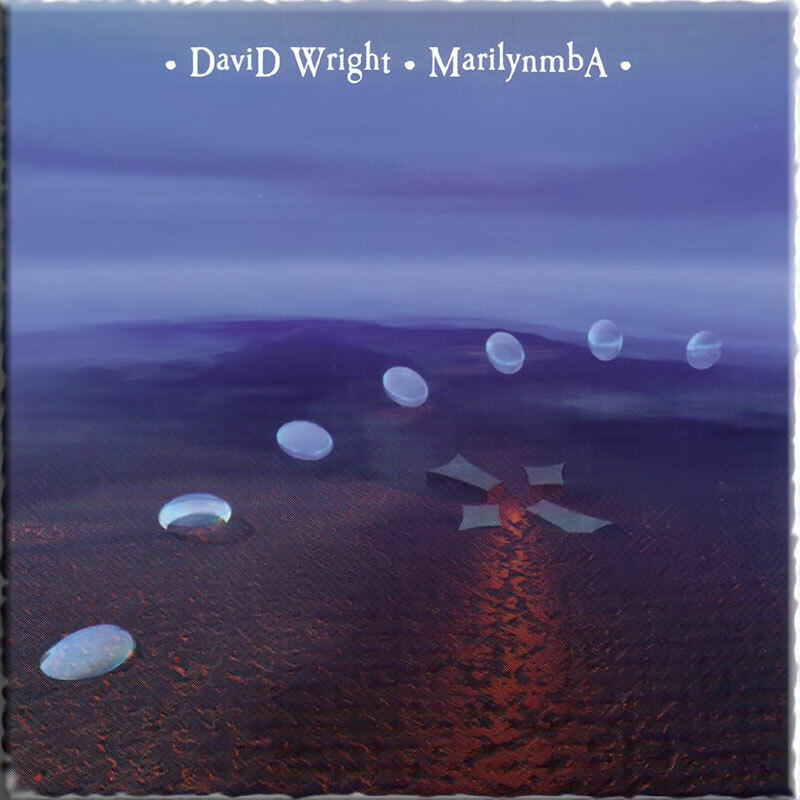 “Partial Eclipse” ends this David Wright’s new sonic chapter with this structure of rhythm finely drummed which galloped throughout the 72 minutes of “Beyond the Airwaves Vol 1”. But here the rhythm makes itself discreet. We hear it on the quiet letting the room to a delicious piano which refrains from being only melodic, just to plant well these harmonious seeds which will germinate a long time after we will turn off our hi-fi and which nest very close by, but very close by, of his Walking with Ghosts. Magnificent and delicious! This is some great David Wright we are having here. I am impatient to hear the second volume which is planned at the beginning of 2015. This 2014 release features 78 minutes of smoothly regal electronic music recorded live. Delicate electronics and sinuous rhythms produce smoothly flowing electronic tuneage. 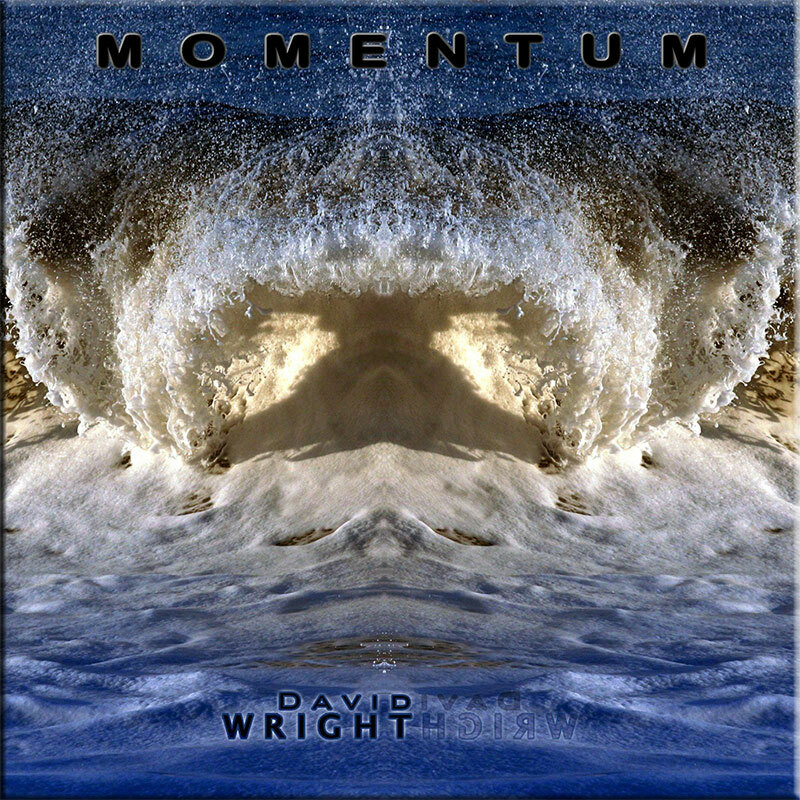 There’s a certain fluidity to Wright’s application of electronic sounds. For one, he rarely employs unearthly noises, restricting his sonic palette to pulsations that characterize more organic moods. Keyboards control much of the electronics, establishing a network of flowing chords that interweave to create variations. Generally, instead of crafting texturals to serve as foundational layers, Wright likes to take one of the forefront sequences and relegate it to a background vantage for a while to function as a droney backdrop. In this ever-shifting fashion, elongated sustains form shimmering fog banks. The presence of traditional piano throughout this music introduces a richly emotional content to the dreamy vistas. Rhythms play a vital role here, providing gentle oomph to the undulating melodies. The tempos are often unhurried with tender beats that chug more than they pound. These compositions exhibit a relaxed gentility. While the tunes possess distinct authority, the melodies prefer to remain pacific and mellow, allowing their real vitality to flourish as pinnacles of euphoric ecstasy.